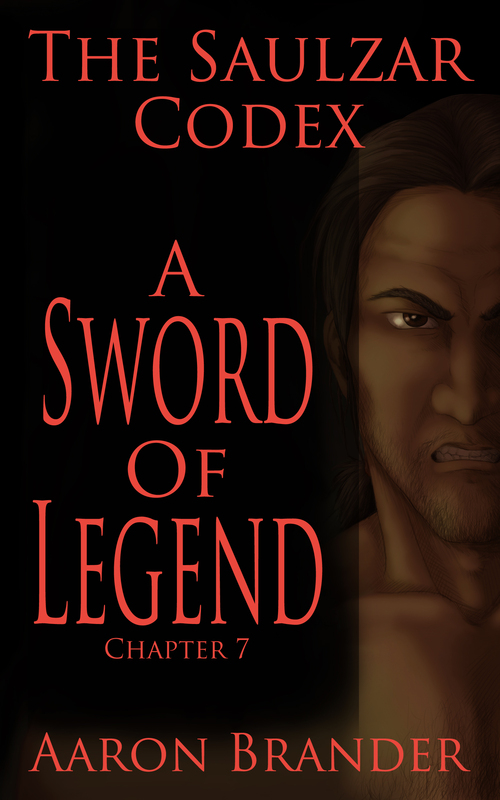 I’m happy to announce that A Sword of Legend is available! It is the seventh chapter in the Saulzar Codex – a series of short stories focusing on Saulzar, a fierce warrior battling to overcome his own past. You can learn more about the project here. I’d love for you to stop by and pick it up. It’s a short story at 10,000 words and is priced at $0.99. It was mid-afternoon, and the dusty road shimmered and danced in the heat. Tanaba struggled along, unused to much physical labor. He specialized in debate and philosophy within the Durrant Heil and had spent the day so engaged in the town of Eppon on the eastern edge of the Po river plain. The locals had been receptive and engaged, so Tanaba was pleased. Saulzar had spent the day in meditation. He rarely debated, for he was not loquacious, nor overly learned in the dogma of the Durrant Heil. He knew the precepts and understood their application within his life, but the application of discipline in the martial arts was his focus. He often accompanied his brother monks beyond the temple walls. “Why I must suffer beneath this burden is beyond me,” Tanaba mumbled under his breath. “There is no suffering in hard work as a consequence of integrity. Do you not say so yourself?” Saulzar asked. The heavy pack on his back was full of blue dyed wool which would be cut and sewn into new robes for the monks. An order that valued austerity rarely made new clothing before it was well past time. “It was the right thing to do,” Saulzar said. “And I’m sure the donkey is well pleased to be rid of me too,” Tanaba laughed. The two men shared a companionable silence as the town faded behind them, the only sound in the still air was Tanaba’s heavy breathing, until it was interrupted by Saulzar. Tanaba looked up to see two rugged men standing in the road. One had a broadsword in his right hand, the other rested a long-handled axe on his shoulder. Their clothes were ragged and dusty, their faces covered in grime. “Friends? Oh, yes, I see,” Tanaba said. Three other men had crawled from the side of the road behind them, equally dirty and rough, various weapons unsheathed. “There is no need for violence. Take food and wine and we’ll be on our way,” Saulzar said as he slipped his pack off with one hand, a wooden staff held in the other. “We’ll take all that wine, as well as whatever else you have, and in return, we’ll let you live,” the axe-wielder said. Saulzar looked behind him to see the three others closing in. Tanaba was right, and Saulzar knew it. The Durrant Heil held to precepts that included austerity and humility, so it was best to relinquish the material goods and avoid the fight. That was the wise thing to do, and wisdom was another of the precepts. Yet Saulzar clung to a savage nature born of the icy wastes of Genai. Though tempered by the teachings of the Durrant Heil, he struggled to contain it. “Final chance to walk away unharmed,” Saulzar said.